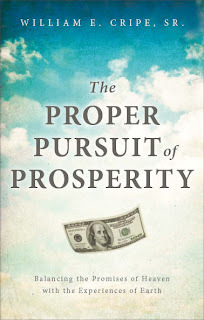 I find it providential that the release of my book, The Proper Pursuit of Prosperity, (http://bit.ly/rrXGGz) coincided with the protest movement called "Occupy Wall Street." As a Christian whose values and morals are ruled by what is good, right and true according to the dictates of the Bible, I have a difficult time taking the protest seriously. 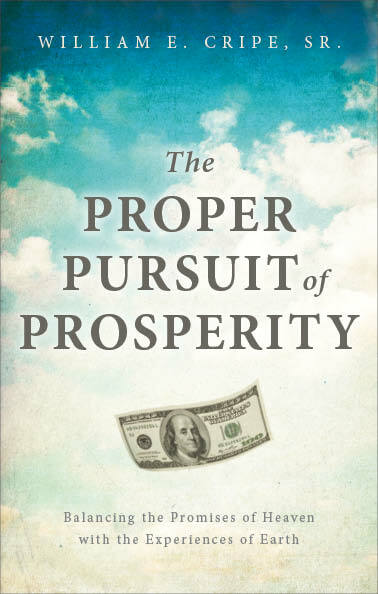 Not only is prosperity not inherently wicked, but many of the patriarchs of the Bible were 1%ers to use today's vernacular. Personally, my expansive review of our nation's history has never lead me to the delusion that I have a guarantee of prosperity; only the guarantee of the right to strive to prosper. So when I was saddled with the reality that I could not afford to attend a four year college, I had the freedom to choose insurmountable debt or matriculate at a community college obtaining my core requirements for a fraction of the cost of attending a four year school. The thought of begrudging those whose parents were able to send them to a university never entered my mind. When it was time to think about a four year school, I refused to amass a mountain of debt so I traded three years of my life to military service in exchange for the G.I. Bill. Not only was my time in service outstanding for my personal maturation, but it enabled me to obtain my first degree and later paid for half of my Master's. Both my undergraduate and graduate education were accomplished with a family in tow and a boat load of responsible diligence. I would not trade it for anything. So if I seem insensitive to the djembe beating, obscenity shouting, hissy fits of those occupying Wall Street, so be it. Considering their demand for some ridiculous guarantee of a livable wage--however that is defined--and release from the consequences of their financial decisions, it appears their "education" has not served them well. It is everyone's constitutional right to pursue one's dreams through sweat and hard work; there is no constitutional guarantee of success. Our system of capitalism is flawed, that is beyond cavil. That one of our nation's besetting sins is greed is equally strong. But what the protestors choose to ignore is that greed isn't defined by net worth, but the condition of one's soul. The single mom in a trailer park abusing whatever forms of relief she can pilfer through lying and deceit is no less greedy than the dad who is single because he carelessly exchanged love of his family for the sparkle of corporate acclamation. Both have greedy hearts and the answer to greed is not legislation but transformation. Charity issues from a thankful heart, not by legislated mandate. The issues of our nation's economy are complex and cannot be dropped in any one institution's lap. The whole foundation of our culture is floundering and the pernicious mindset of entitlement emanating from places of higher learning needs to be challenged for the resolute counsel of God's word admonishes, "…if anyone is not willing to work, then he ought not to eat." (2 Thessalonians 3:10) That one passage imparts much practical wisdom which if applied would clear the parks and protests in short order. Is It Wrong to Celebrate Bin Laden's Demise?